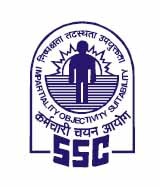 Staff Selection Commission (SSC), Eastern Region (ER), Kolkata has published a Advertisement for below mentioned Posts 2015. Check below for more details. Selection Process : Candidates will be selected based on educational qualification, academic records, percentage of marks & Interview / Personality Test / Skill Test. How to Apply: Eligible candidates may send their applications in the prescribed format along with self attested legible copies of their all Certificates / Documents, examination fee to given below address for remote areas. Superscribe the envelope as “”SELECTION POST” APPLICATION FOR THE POST OF: ———; CATEGORY NO OF POST: ER- ———— ;ADVERTISEMENT NO: ER- ——–”. Address to sent Applications : The Regional Director (ER), Staff Selection Commission (ER), Nizam Palace, 1st MSO Building, 8th Floor, 234/4, A.J.C Bose Road, Kolkata-700020.